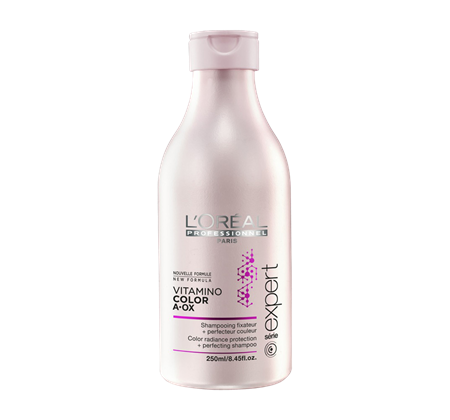 This in-salon protocol by L’Oréal Professionnel brings out the ultimate radiance in your colour-treated hair. Used in combination with the protection mask, the Vitamino Color A-OX Cristalceutic Serum coats the hair to lock the colour in for a long-lasting effect. 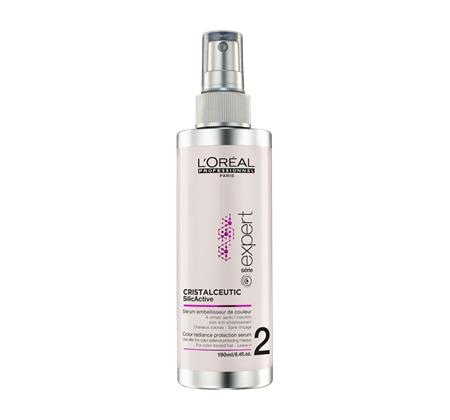 Click here to find out more about VITAMINO COLOR A OX Cristalceutic spray on the Official L’Oreal Professionnel Website. This in-salon post hair colour service by L’Oréal Professionnel brings out the ultimate radiance in your new hair colour. 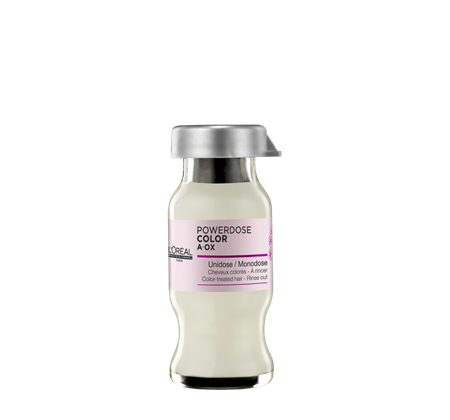 Used in combination with the protection serum, the Vitamino Color A-OX Cristalceutic Masque coats the hair to protect the radiance of colour-treated hair. 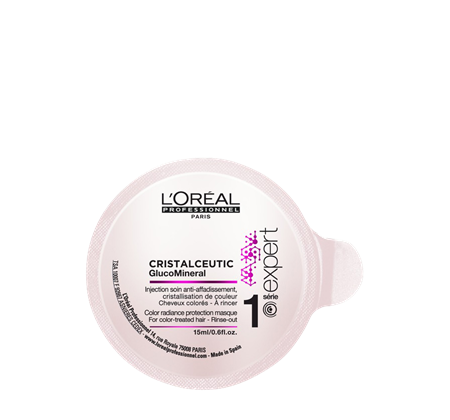 Click here to find out more about VITAMINO COLOR A OX Cristalceutic masque on the Official L’Oreal Professionnel Website. 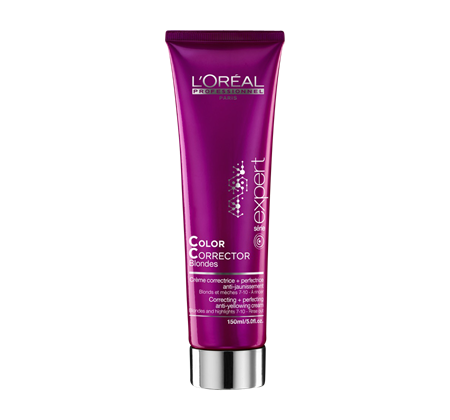 This exclusive L’Oréal Professional in-salon treatment, for all coloured hair, including highlights and balayage, is nothing but the perfect complementary treatment after an in-salon colouration service. The unidose will provide additional protection for your colour-treated hair. 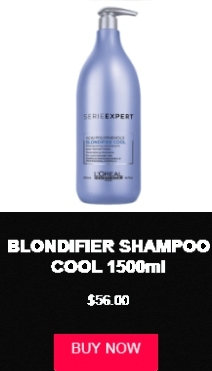 Protecting your freshly coloured hair from damaging UV-rays, whilst enhancing the colour. Click here to find out more about VITAMINO COLOR A OX Monodose Colour on the Official L’Oreal Professionnel Website. Click here to find out more about VITAMINO COLOR A OX CC cream Blondes on the Official L’Oreal Professionnel Website. 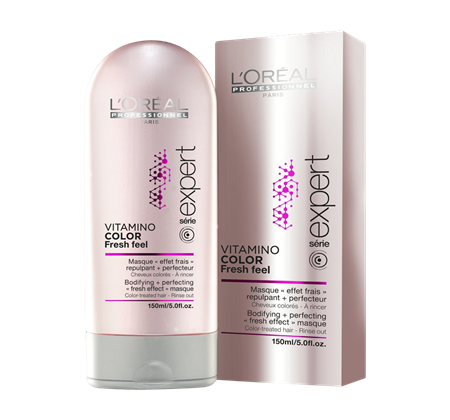 Click here to find out more about VITAMINO COLOR A OX Fresh feel on the Official L’Oreal Professionnel Website. The Vitamino-Color A-OX Soft Cleanser gently cleanses coloured and highlighted hair for the ultimate colour protection and cleansing experience. 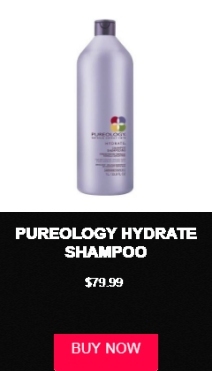 The sulfate-free shampoo only requires half of the usual dose to purify hair without damaging the colour. Hair is left protected from fading, while the colour stays intense for longer. 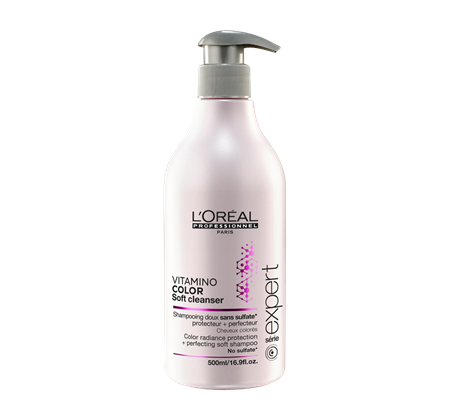 Click here to find out more about VITAMINO COLOR A OX Soft Cleanser on the Official L’Oreal Professionnel Website. The professional secret to enhance every hair colour in just one gesture? The colour perfecting Color 10 In 1 spray from the Vitamino Color A-OX range by L’Oréal Professionnel. Use before or after hair colouring, for 10 instant benefits – perfecting your colouration result. Click here to find out more about VITAMINO COLOR A OX Color 10 IN 1 on the Official L’Oreal Professionnel Website. Say goodbye to dry hair! 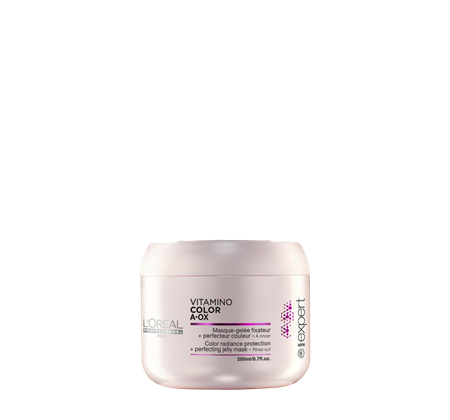 The nourishing Vitamino-Color A-OX Gel-Masque targets weakened and damaged areas of coloured hair and wraps it into a lightweight film to protect against every day wear and tear. Colour-treated hair is intensely nourished and protected in just 60 seconds. Click here to find out more about VITAMINO COLOR A OX Jelly masque on the Official L’Oreal Professionnel Website. The rich texture of the Vitamino Color A-OX Conditioner leaves coloured hair easier to detangle and smoother. Used after the Vitamino Shampoo, Colour-treated hair is soft and the hair colour protected while shine and vibrancy levels are beautifully boosted. 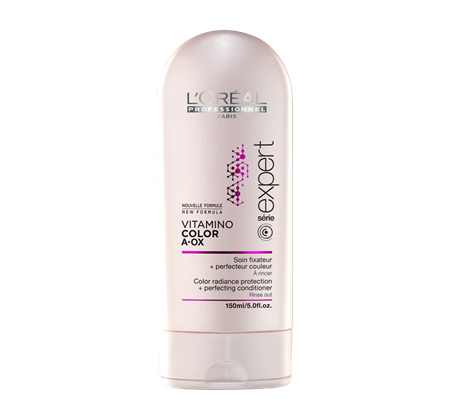 Click here to find out more about VITAMINO COLOR A OX Conditioner on the Official L’Oreal Professionnel Website. Indulge in the sensorial colour protecting Vitamino-Color A-OX shampoo that leaves coloured hair instantly soft and purified. Enriched in a powerful anti-oxidant complex and UV filters, your colour of choice is allowed to shine more vibrantly. 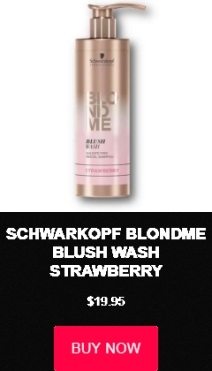 Residue is eliminated, while hair and colour is protected. Click here to find out more about VITAMINO COLOR A OX colour protection shampoo on the Official L’Oreal Professionnel Website.